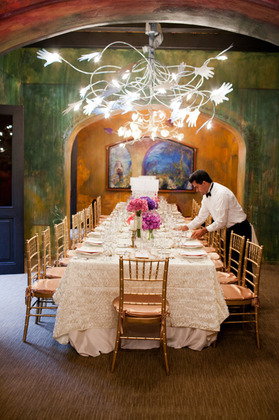 Impeccable events hinge on the details from decorations to music to cuisine. 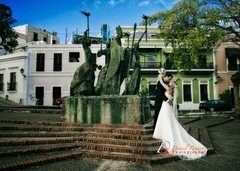 At our splendid Puerto Rico wedding site, storybook settings and pristine venues are just the beginning. 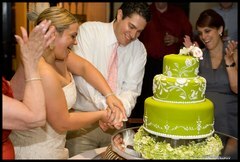 We approach your celebration with a keen eye for detail. Trust our expert event planners and skilled caterers to arrange unforgettable receptions, dinners, and brunches. 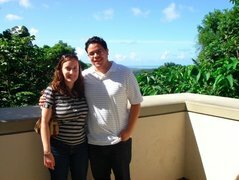 We selected the Puerto Rican buffet and it was some of the best Puerto Rican food I've ever had (and I'm Puerto Rican). The service was top notch. Our guests are still talking about the meal 2 months later. Ruben was great to work with. He was extremely nice, professional and organized at all times. 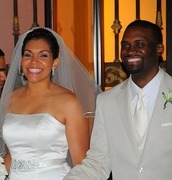 He went above and beyond what was necessary and it showed with the end result of our wedding. Perfect venue! The ambiance was intimate and classy. The food was delicious & the staff at El Convento is extremely helpful. Great service, beautiful venue, and amazing beverage and food. The catering is a bit pricey, but it is worth every penny. Your guests will walk away wowed by the quality of the venue, food, and drinks (house open bar) here. 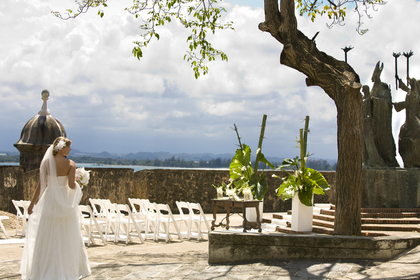 I dont think my husband and I have enough words to describe how happy we were with the service that we received from the ENTIRE staff at El Convento during the 5 days we were there for our destination wedding celebration. From the minute we first met with our wedding planner Paola a year ago, we have been extremely pleased with the high level of professionalism she has provided us. She helped me find many of my vendors as well as helped me take care of many details. She was prompt in answering my emails, and not once said, "I dont know.. or even 'NO' to any of my questions or requests". She remained calm and collected throughout the entire process.. even when I became upset because it started to rain an hour before our outdoor ceremony was to begin. 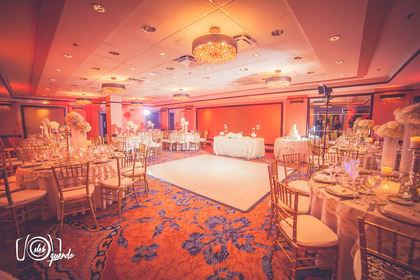 She assured me everything was being taken care of and the ceremony would continue in another beautifully decorated room. Our second trip to the island prior to our wedding was for our food tasting and it was PHENOMENAL! The service we received from our server Jose was excellent and every single item we tasted was fresh and to die for! When we arrived the week of the wedding, everyone was very courteous and helpful. We had some problems with the temperature in our room the first night, but they were very quick to accommodate us and change our rooms in the middle of the night. We mostly dealt with Chamil and Dalys (Im sorry if I got the names wrong) and they were very apologetic and even comped our lunch for the day due to the inconvenience. The day of the wedding was a smooth success. The entire staff went above and beyond to help set up el Salon Campeche. The service my guests and I received was outstanding. Everyone agreed that the staff made them feel welcome and provided extraordinary service. I would not hesitate to recommend El Convento and it's services to anyone. They overexceeded my expectations. I truly feel I left a little piece of my heart there. 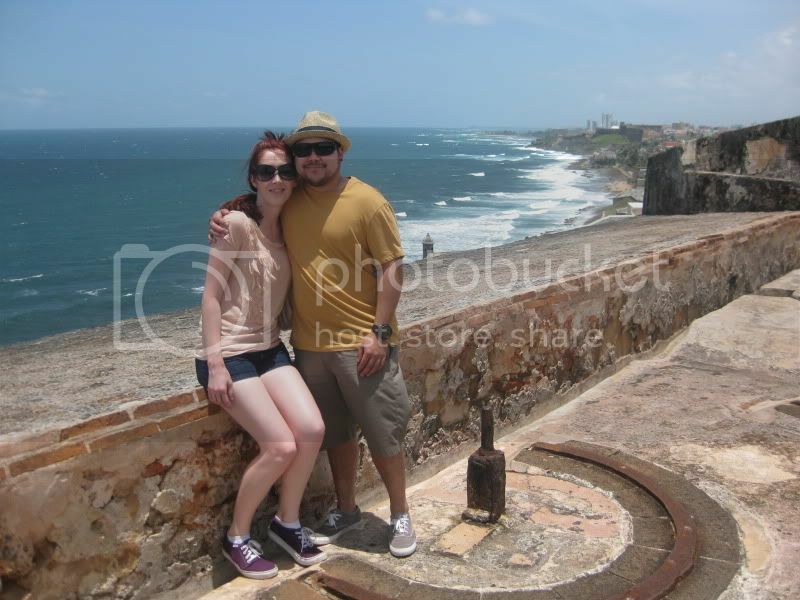 My husband and I look forward to returning to Puerto Rico and staying at El Convento for our 1 year anniversary. Again, thank you to the entire staff for making our wedding celebration extra special. Trust me future brides... you WILL NOT be dissapointed. Ceremony was held on the patio. Everything was perfect! Our guests are still talking about how beautiful it was! The reception was held in the Salon Campeche, which is gorgeous. 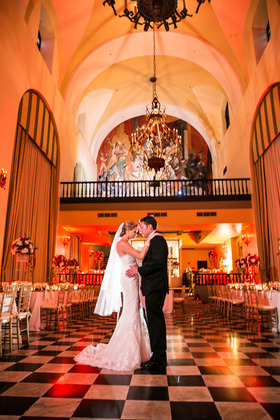 It was the perfect setting as we wanted our reception to have an old world elegant feel. 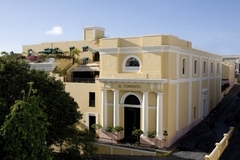 Nestled in the heart of Old San Juan, El Convento is a small luxurious hotel with old world charm and character. The staff (front desk staff, manager, restaurant servers, housekeeping)at El Convento provided the highest quality service. It seemed like everyone knew our names and guests names. We felt pampered, the turndown service-chocolate on your pillow, free beverage lounge - wine, tea, unlimited water was a nice perk. The scenery is serene, relaxing with a beautiful courtyard. The location is convenient for shopping, and sightseeing. When we went to the beach in Condado had access to accomodations at El Convento's sister hotel La Concha (towels, chairs on beach ,pool, bar, restaurants, etc...) I couldn't ask for more. El Convento is worth every penny. Amazing service!!!!!! 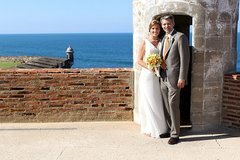 I got married in José Campeche room and is a dream come true! Everything was beautiful arranged, the food was great and the waiters were EXCELENT!!!!!!!! I am very happy to choose this place as my reception venue!!!!!!!" 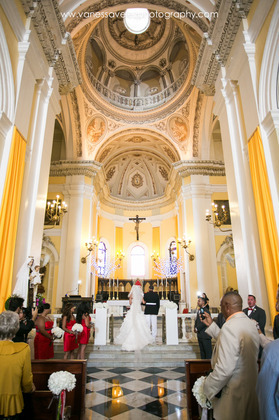 I don't have the words to describe how magical our wedding was at El Convento. From the staff to the setting to the overall mood and feel of the night--we couldn't have dreamed of anything better. I couldnt recommend it more. 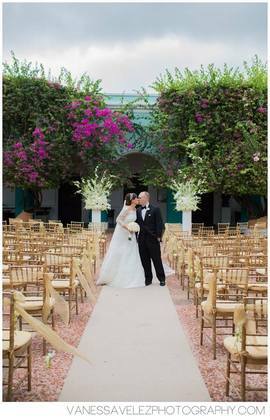 Our ceremony took place in the majestic courtyard and reception in the Salon Campeche. I hope others can enjoy how special this hotel is. Also, Paola Soto was an extraordinary wedding planner. Everything went smoothly because of her. AMAZING all around! Perfect setting, the best service, delicious food and an unforgettable night!